П. Г. Чесноков — один из крупнейших мастеров русской хоровой культуры, способствовавший своей разносторонней музыкальной деятельностью поднятию ее на новый, высочайший уровень. Настоящий труд посвящен хору без инструментального сопровождения — a cappella. P. G. Chesnokov is one of the most outstanding masters of Russian choral arts, that raised to a higher level due to his versatile musical activities. The textbook is dedicated to the choirs without instrumental accompaniment — a capella. The book divided into two parts. The first part describes the structure of the choir, elements of choral sonority and guidelines for developing and cultivating these elements. The second part presents choir conducting techniques. 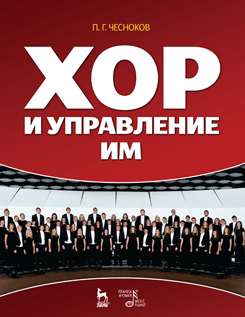 The textbook is intended for students of musical institutions, studying choral music, and also for teachers and choir conductors.